Thinking of solar for YOUR BUSINESS? 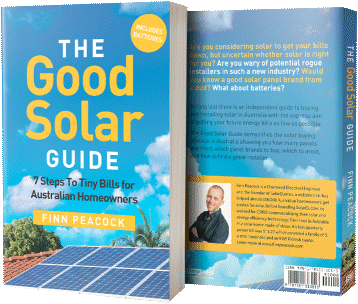 Solar Power Quotes + free independent advice. Since 2009, SolarQuotes has helped 400,727 people get high quality solar quotes across 2,678 postcodes in Australia. We have published 38,024 uncensored reviews of 1,921 solar installation companies. Most importantly, over the last 10 years we have steadily built a network of 325 solar installers across Australia that we trust to provide quotes through this website. And we have turned away hundreds more. We are very fussy about which installers we allow to provide you with quotes. You want to work with experts, not cowboys. The best solar installers insist on detailed information to provide the best quote to homeowners like you. I could shorten my form, and get more homeowners to complete it, but then the only installers I could get to reply with quotes would be the "cowboys". You want to cut through the BS, and get right to the "good guys". I've spent over 10 years identifying the good guys. With 38,024 uncensored reviews on my site, you can see for yourself how the installers I recommend are rated by their past customers. Your time is valuable. While my form may take a bit longer, you'll get up to 3 free, no obligation quotes from highly-qualified installers – quotes that are perfectly tailored to your home, energy and budget considerations. No back and forth. No wasted time. Quotes done right THE FIRST TIME. You're serious about solar energy, not just kicking tires. My quote system assumes you're taking your solar energy purchase decision seriously and you're not just window shopping. As a former engineer, I realise solar power is one of the most important and complicated investment decisions you can make. My form is longer because long forms weed out the window shoppers…only requests from serious solar buyers make it through to my serious installers. That's the way I want it (and the way you want it, if you're serious). You're looking for advice and insight, not just a quote. Did you notice there are dozens of options for leaving this page and exploring other information and resources on this site? 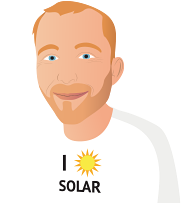 You can read reviews of the top solar installers, peruse testimonials about my service or read 1,000+ solar power blog entries. Keep up to date on solar energy news stories, research solar panels, inverters and batteries. And you can request a quote. Now, compare this to other sites that "trap" you into requesting a quote by offering no exits …and providing nothing more than a quote. You want to do business with real people, not robots. When you complete the form, you'll get a message from me, Finn Peacock, real live human. And you'll get my personal email address. Feel free to contact me with any questions and concerns. I'm happy to help! The top solar installers in the SolarQuotes network as rated by their customers.